If writing is art, then Prue Batten wields a canny brush, and always with tight reins on the conventions of the craft. Prue gives me way too much credit here, but who am I to suggest cuts? `The third and final novel in my historical trilogy, The Gisborne Saga, has just been published. 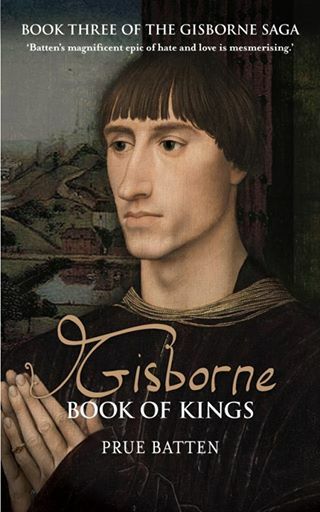 Within twenty-four hours of Gisborne: Book of Kings going live, it secured a Top 100 ranking for biographical fiction. None of this would ever happen without the finetuning of the narrative by John Hudspith. Johnny has worked with me now for five of my seven novels and it is he who places my words in crosshairs and shoots down any interloper that doesn’t belong. Bearing in my mind that Johnny and I live as far apart as it’s almost possible to be, he in the UK and me in Australia, distance never ever mattered. My only sadness is that we can never meet in the pub for a glass of wine and to chew up a thesaurus together! Very early on in our relationship, he told me that his job is not to mess with the authorial voice, but to direct it, coax it, polish it so that it might project to the very back of the theatre. And I appreciated that. He allowed my style to remain mine whilst simplifying and sharpening the end product with great foresight. He is also a wicked man with a sense of humour and great timing – something that pulled me out of twelfth century holes, keeping my eye on the end result. His job was to keep my narrative focussed so that it never lost momentum and I think inclusion in the Top 100 indicates he has succeeded eminently. Especially when I can say that since Johnny began working with me, all my books, all seven, have secured Top 100 rankings. Does that not speak volumes?